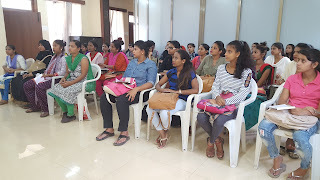 27-March-2018, Mumbai: The Don Bosco Development Society (DBDS) organized a 40-working days ‘Beauty and Hair Care’ training for the women and youth from the slums of Mumbai. 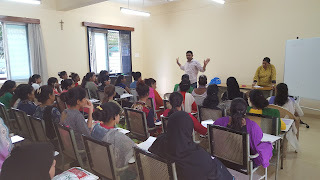 The Training was held in collaboration with Brihanmumbai Municipal Corporation (BMC). 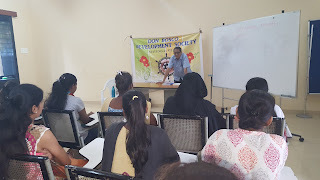 During these 40 days the participants were trained in beauty care business. 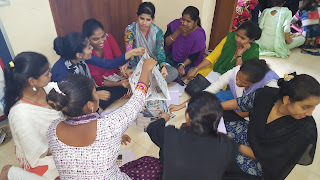 About 24 women participated in this training. At the end of the training a 3 days’ workshop was held during 24-March to 27-March on Micro Business Entrepreneurship. 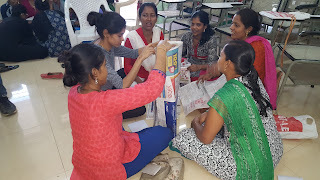 Mr. Pradeep Walavalkar, Mr. Royal D’Souza and Mr. Dilip Samant were the resource person for this training. 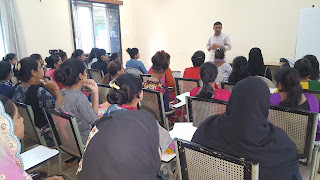 They covered many business related topic in there lecture such as nature of business, building relationship with customers, marketing of products, product quality, product brand, standards, costing, market survey, business record maintenance, customer care etc. 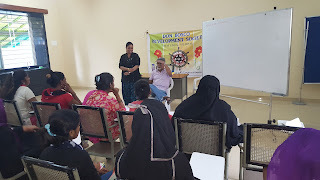 Participating women raised a number of questions which were all answered by the resource persons.